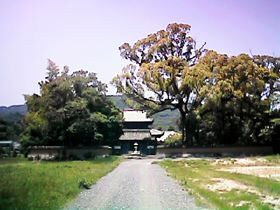 This ordination hall or Kaidanin was built in the Nara period as part of Kanzeonji. 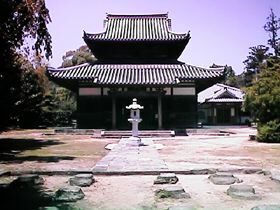 Together with Todaiji in Nara and Yakushiji in Tochigi, it was one of Japan's three official ordination halls. 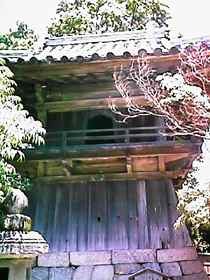 Those living in Western Japan who wished to enter the Buddhist priesthood had to be confirmed at the ordination hall of Kanzeonji. 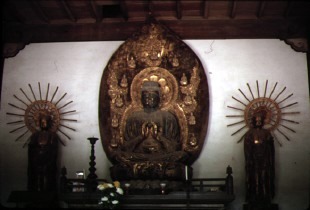 The main image, a sitting statue of Rushana Buddha (Vairocana), is a work of the Heian period. 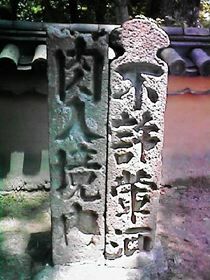 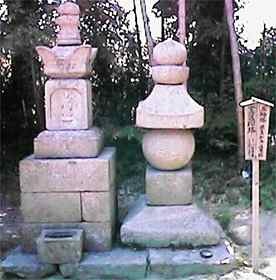 A Broken wall, a grave marker, a stone monument declaring that liquor, garlic and meat are prohibited inside a temple.